These Mini Pigs Are Fashion Icons… And Heartbreakers! Two little piggies namedÂ Priscilla and Poppleton went to the market, and to the beachâ€¦and to the farmâ€¦and a football gameâ€¦ and they even had breakfast at Tiffanyâ€™s.Â When you see what else the piggies did when they stayed at home you wonâ€™t be able to contain yourself.Â Number 13 had us head over heels. 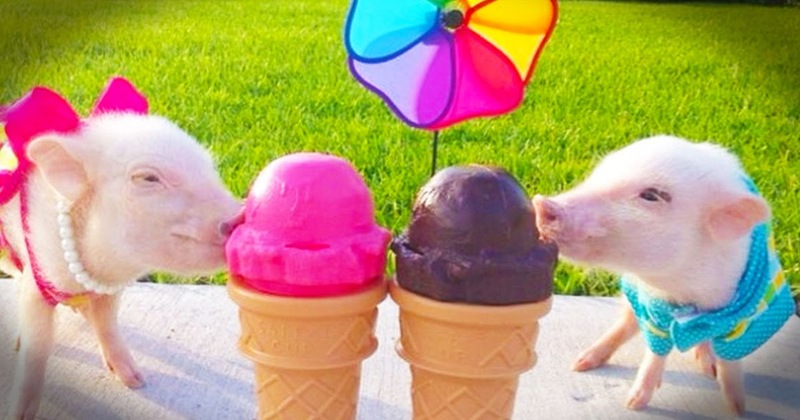 Tell us which one is your favorite piggy!